Here's the first of two AG cartoons I'm sending today. Specifically, both concern the kind of fixes cowmen often find themselves in during Spring — more specifically, fixes involving calves. 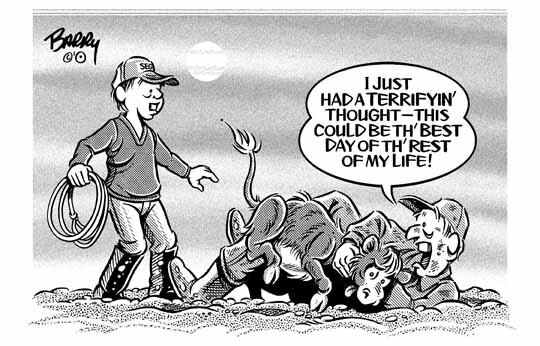 You may not have folks in your trade area who deal with bovines for a living, but the sentiment expressed in this particular toon is very likely shared by most readers out there at one point or another — regardless of their vocations!